You're at an LA Dodgers game, and they're in the lead at the bottom of the 6th inning. All of the sudden, right fielder Yasiel Puig pulls his hamstring diving for a line drive. It looks like he'll be out for the next few weeks of the season. Is this a tragedy? No... because Enrique Hernandez can step up in Puigs's absence, and he's been training for this moment, making him well-prepared to fill in. A well-run hotel should be just like the Dodgers -- it's important to have staff members who are proficient enough to fill in for other positions at any time. This is why cross-training is absolutely essential in a hotel operation. You should always equip your staff with the necessary skills to perform tasks outside of their day-to-day job functions. This way, they will be able to lend a hand to other positions or departments in your hotel when the need arises (and the need will arise). Hotels that cross-train their employees rarely have to worry that a particular job won’t get done or guest satisfaction will suffer because an employee is out sick, a department is overwhelmed or otherwise. •If an employee is at risk for overtime, an employee with fewer hours can be used to cover their shift. •When an employee calls out sick or is out on vacation, another employee can lend a hand during any downtime they may have or can fill in for the day(s) in question. •If a department becomes overwhelmingly busy, employees from another department can assist. •If an employee is let go or leaves their position, cross-trained employees can take on some of the responsibilities until the position is filled. 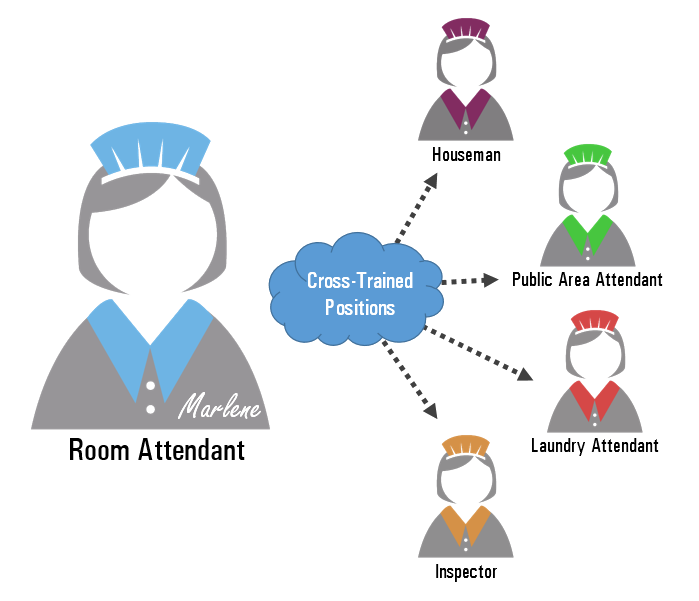 (click to enlarge) In the example above, we can see Marlene, a room attendant, has also been trained in the following positions: houseman, public area attendant, laundry attendant, and inspector. Because Marlene is cross-trained in all of these different positions, she is an extremely valuable resource to the housekeeping department. Her flexibility will enable her to fill several positions if there were a need. Let's see how Enrique Hernandez measures up: "Given his positional flexibility, as he played six different positions over the course of the 2015 season, Hernandez will be counted on by the Dodgers in a variety of capacities this season. Not only did Hernandez play all three outfield spots, as well as third base, shortstop, and second base well, but he also was an effective hitter at the plate..." Patrick Brewer, baseballessential.com. Now imagine if most of your staff had that same flexibility as Marlene or Enrique. Cross-training not only adds value to your hotel, but also to the employee. When an employee is given more responsibilities, they might view it as the hotel putting more time and trust into their professional development. Employees may feel more invested if they have more to offer to the hotel, increasing retention and loyalty. Cross-training also strengthens your staff, as a whole. It leads to better coordination and teamwork, as it improves understanding of the different departments and the hotel overall. Encourage the team to give feedback and make suggestions for improvement in the areas in which they’ve trained. Carefully plan your trainings during a slower period to avoid disruption in your hotel operation during peak periods. 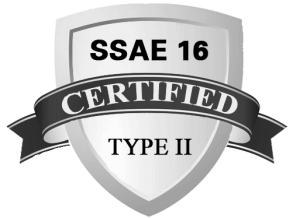 Consider even creating a yearly training plan, covering all positions and departments beginning with supervisory level and filtering down to entry-level positions. Do note, unionized properties may face challenges in this area due to union policies and labor agreements. It’s very important to know your limitations if you own or manage a union property to avoid any issues in attempts to cross-train your staff, as unions generally oppose cross-training. Most hotels should consider making a one-time change that will likely pay future dividends in reduced overtime expenses for years to come.